Magma is the most advanced and best blogger template we have ever made. Magma is full off features and widgets which will give your blog a stunning and professional look. 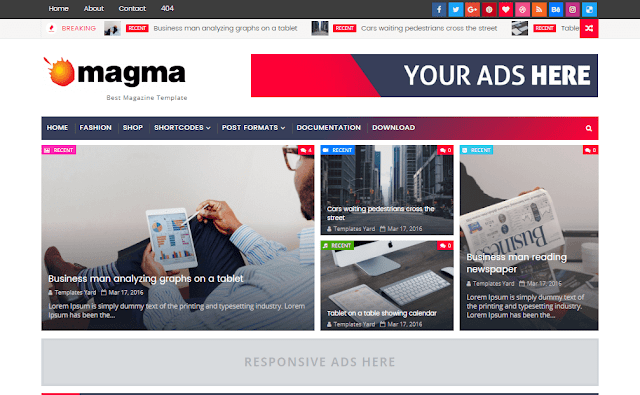 Magma magazine template is a clean, modern, user friendly, fast-loading, customizable, flexible, functional and fully responsive Blogger/Blogspot News, Magazine, Newspaper, and blog Theme.